Virginia Hendricksen has danced with the Ballet Frankfurt and the Royal Ballet of Flanders performing a wide range of classical to modern repertoire for over 14 years. 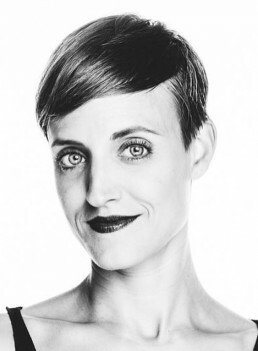 She began assisting choreographers in 2013, at the invitation of Alan Barnes. She joined him in setting William Forsythe’s New Sleep in Ballet Zurich. The following year she co-set New Sleep with Mr. Barnes in Les Ballets de Monte-Carlo. In 2017, Virginia helped Tony Rizzi set Approximate Sonata on the Royal Ballet of Flanders. At the end of that season, Annabelle Lopez invited her to assist the creation of Ecdysis, and to coach the piece throughout the duration of the performances.Virginia takes great joy in being a part of the creative process. She aims to ensure the choreographer’s ideas are realized, while supporting the dancers as they take on a new ballet. She feels passionately about facilitating choreographers and encouraging dancers especially in creations, because new ballets stretch the boundaries of dance and become the future of the art form.